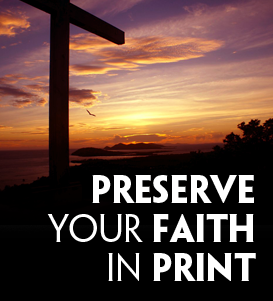 Faith Books & MORE is committed to preserving the faith of authors in print and other forms of multi-media. We help authors turn their manuscripts into a creative piece of art. The book publishing process typical turn-around time is between 3 to 6 months. And, our service is all-inclusive with no hidden fees. Writers have an opportunity to preserve their thoughts, experiences, creativity, and most importantly faith in print, as well as other forms of media. We all have a story to tell for others to receive encouragement, inspiration, education, entertainment, and more. Writing is a way the the author and the readers connect with each other over a message. If a book's message is strong enough and is shared by many, it can create change. For business people, a book is a way to share expertise. It is a format that potential clients can take home with them, study, read, and learn from an expert. It can even be a way to prime a client before they embark on hiring for a specialty. If you are looking for a reason to write a book, those are really good reasons. Faith Books & MORE Print Center is a web printing company specializing in helping individuals and companies with their marketing needs. We provide services for many different printing products such as business cards and postcards. Our customers have many options when it comes to their printing needs, and we appreciate every time we are given the opportunity to serve them with their printing needs. At Faith Books & MORE, our book publishing process is 100% custom. Your involvement as the author is very important because we need your vision for the book captured, so we can bring it to reality. Publishing with the assistance of an author services company can be a smart choice for writers. It is cost-effective, relatively fast, pays much better than standard royalty contracts, and lets you maintain control over the publishing process.